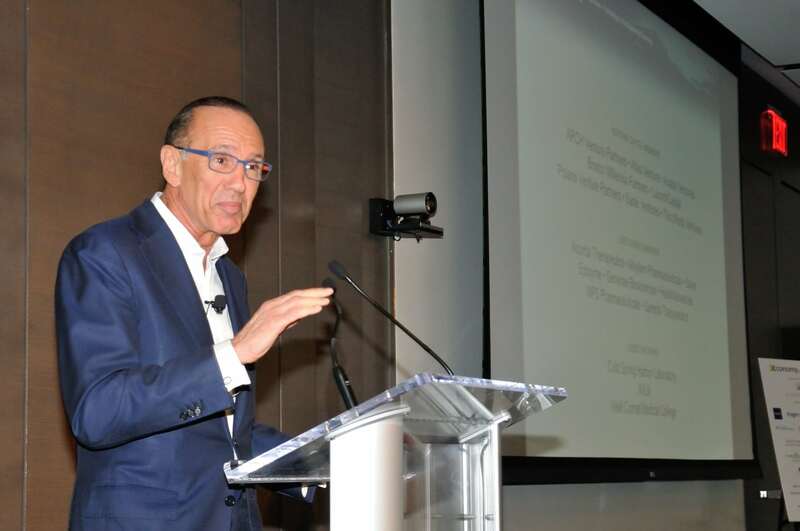 After more than a year of not-very-subtle hints of IPO intentions, Kadmon Holdings, the biotech founded by former ImClone Systems CEO Sam Waksal, made it official Friday. Already in the spotlight in part because of Waksal’s previous criminal history—he was convicted of several felony charges related to insider trading in 2002 and 2003—the New York-based Kadmon filed paperwork Friday morning that lays out its plan to raise $115 million in an IPO. The prospectus reveals surprising details about the company and the proposed deal, including the huge amount of debt fueling its operations and the unusual post-IPO privileges that would accrue to many of its creditors. Typically in the run-up to an IPO, a venture-backed company converts the array of private shares held by investors into a pool of common shares that have equal standing and voting rights. After the IPO and a holding period, those common shares can be traded on the public market. But Kadmon has financed itself by borrowing, not by courting VCs, and now it wants to turn loads of debt—about $200 million—into post-IPO shares. It is rare for a private biotech to finance itself primarily through debt, let alone such large amounts. Some of the converted shares would be common, and some would be “preferred” ones that give their owners rights above and beyond the common owners. Investors buying into the Kadmon IPO would get common shares. Kadmon’s head of investor relations, Ellen Tremaine, declined to comment and referred all questions to the regulatory filing. Last decade, Sam Waksal (pictured) was sentenced to seven years in federal prison for his role in an insider trading scandal that included home improvement guru Martha Stewart and others. Those tipped off sold shares of ImClone before a setback with the cancer product cetuximab (Erbitux) was publicly disclosed. Waksal was also barred for life from serving as a public company officer or director. Once free from prison, Waksal founded Kadmon in 2010 and was its CEO until 2014, when his brother Harlan took over as CEO and president. Sam Waksal remained chairman and had a different executive position (“chief of innovation, science and strategy”) until last year. As of February 8 of this year, he has cut all ties with the company but, as detailed in the prospectus, he will still benefit handsomely from his association with Kadmon. He will receive a $3 million severance payment that could balloon to nearly $25 million in coming years, based on the company’s performance. He also remains a key shareholder. He owns a small slice of a limited liability corporation called Kadmon I that owns two thirds of Kadmon’s main pool of shares, according to documents.